This customer had an unfortunate event where her front door panel was smashed at the beginning of the year. 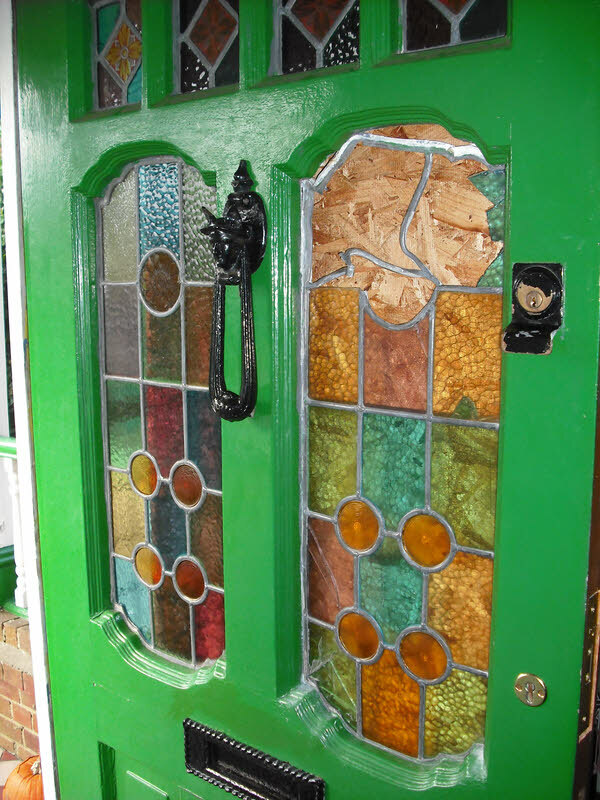 Following our visit to collect the bits we cut new glass, painted a new daisy roundel to match and then leaded it all back together. We always use the same width and profile of leads as is in the original panels and try to match the glass as closely as possible. 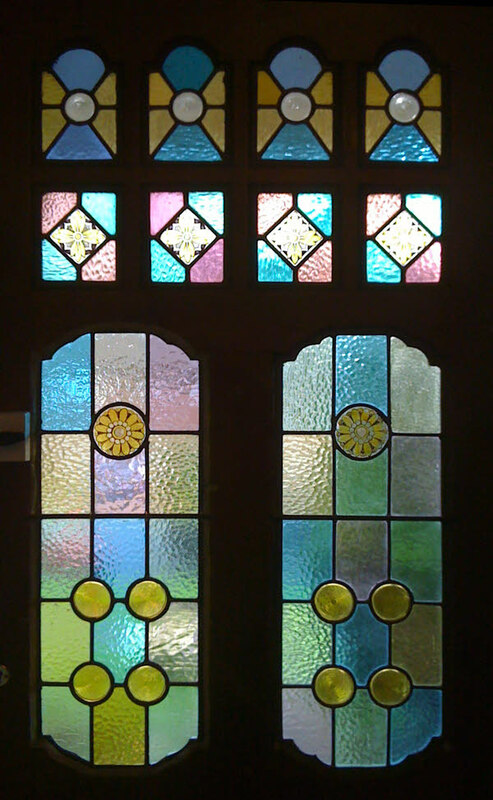 We fitted the finished panel back into the front door. Going on a Saturday saved my customer from having to take another day off work for just an hours work on our part! She is thrilled!